Scotia Works is located just two minutes walk from Sheffield Train Station. Exit the station via the front doors and follow the pedestrian footpath running uphill, parallel with the water fountains. When you reach the main road turn left and follow the road down to the first set of traffic lights. You will see a fork in the road in front of you with three exits to choose from. We are on the road in the middle (Leadmill Road). The closest tram stop is at the Train Station/Sheffield Hallam University. Follow the directions from the train station above. 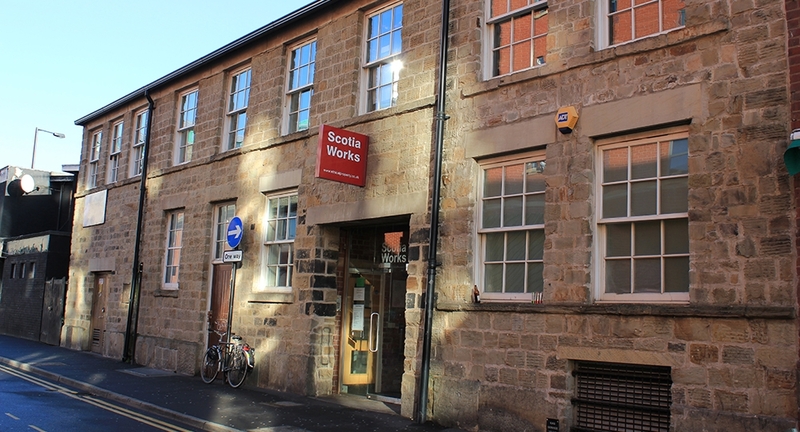 Scotia Works is just a few minutes walk from the Sheffield Interchange in the City Centre. Regular bus services are available as well as National Express Services. There is limited on street parking on Leadmill Road, with the postcode for any Sat Nav devices being S1 4SE. We would recommend you use public transport to visit Scotia Works.